Do you know what the German word is for 'beach'? Or a bench? Learn the German vocabulary for everyday objects, and even ask questions in German and improve your language skills! 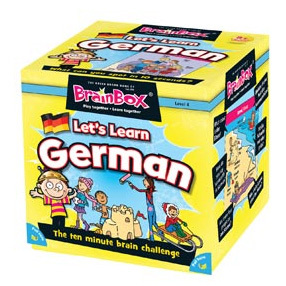 Made from a minimum of 70% recycled material and designed in the UK, BrainBox - Let's Learn German is fantastic fun for everyone.